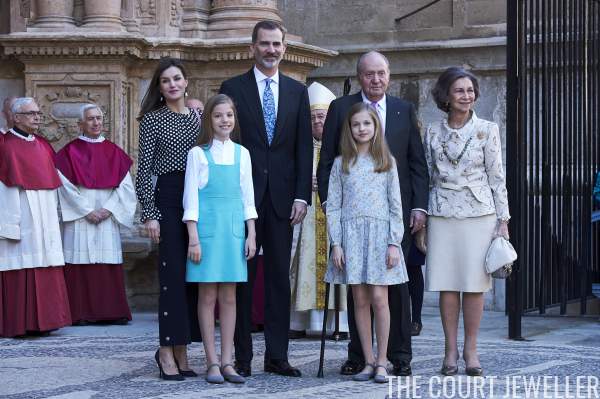 The Spanish royals gathered on Sunday to attend Easter mass in Palma de Mallorca. Here's a look at the jewels we saw for the holiday! 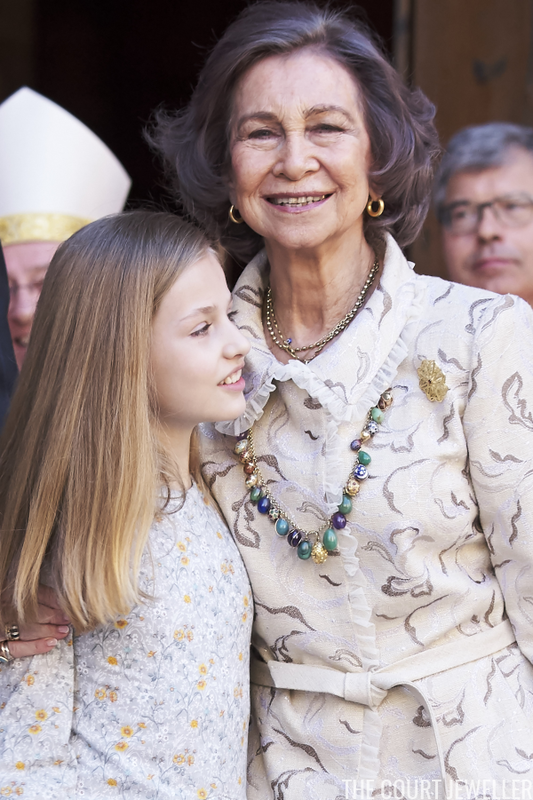 Queen Letizia chose a bold pair of statement earrings for this year's Easter service. These are her onyx and mother-of-pearl earrings from Tous. 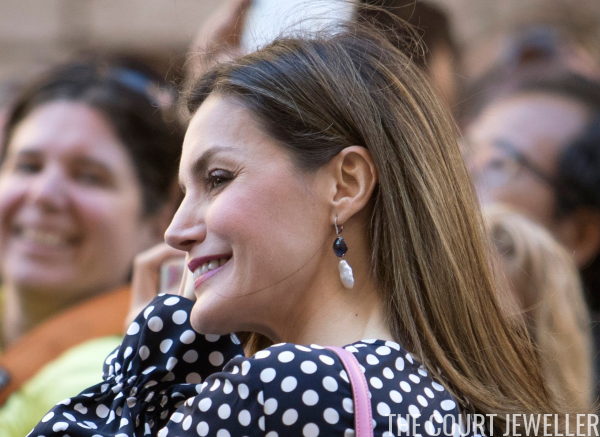 The Princess of Asturias wore small accessories this year, too: small gold earrings. 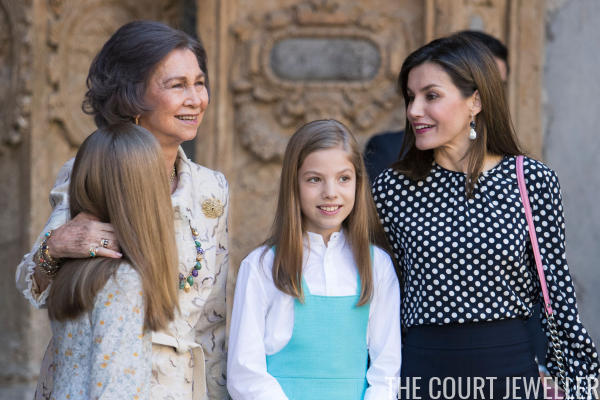 Leonor's younger sister, Infanta Sofia, wore a woven bracelet that we've seen her wear before in Mallorca. 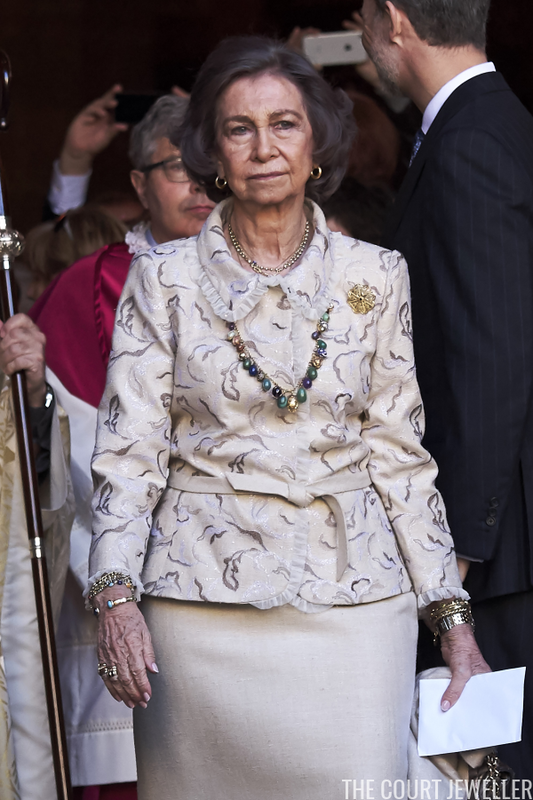 But, of course, the show-stopper was the Easter Egg necklace worn by Queen Sofia. It's one of the highlights of the holiday for me every year! Sofia's signature jewelry look features lots of layered pieces, and this Easter was no exception. Here's a look at all of the jewelry that she wore with her Easter ensemble.